The Mennel Milling Company publishes a weekly Market Update for the benefit of our partners. 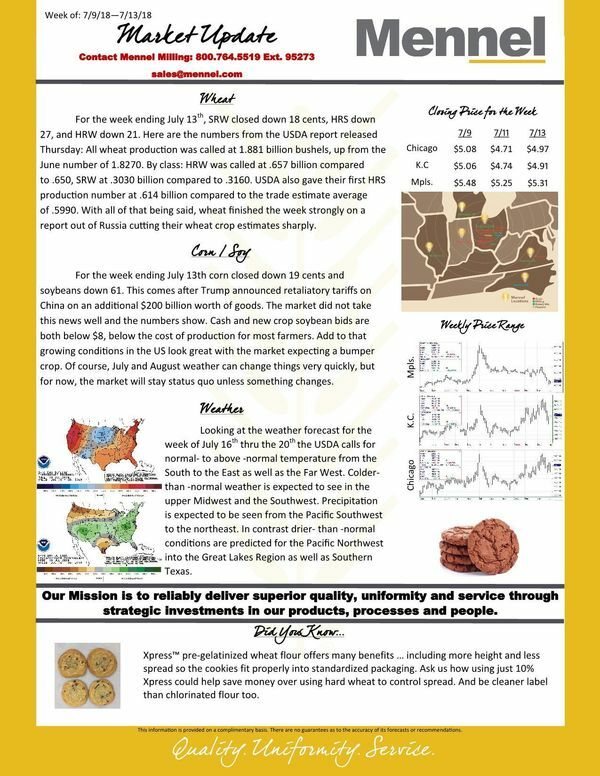 This one-page overview report is shared weekly to ensure timely communication of price changes for the wheat, corn and soybean markets. Mennel's report includes any relevant news and upcoming events that may impact the market as well as weather forecasts. Click on the Market Update button below to view the July 16, 2018 edition.